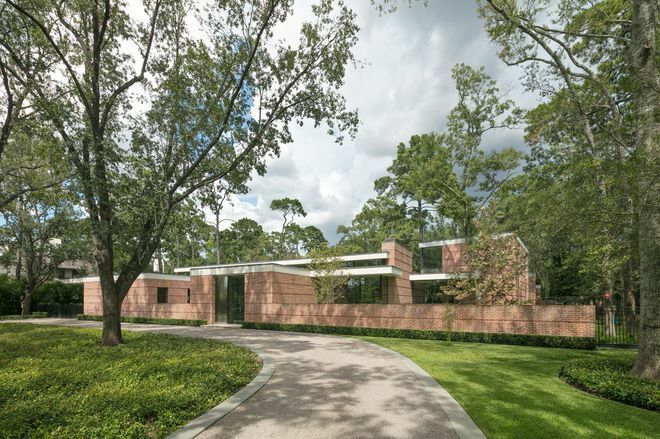 This year’s home tour gives people a chance to view a collection of the finest architectural houses in the Houston area and support a good cause at the same time. The city’s new Architecture Center was a mere three weeks away from opening its doors when Hurricane Harvey ravaged the region and left the new center badly water-damaged. The funds from this year’s tour will go to rehabbing it. Any funds in excess of the center’s needs will be donated to the Hurricane Harvey Relief Fund. The tour will feature 10 houses, including this new midcentury-inspired home designed by Dillon Kyle Architects.